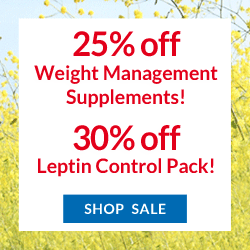 Leptinal® is our premier formula for both weight management and cardiovascular health. 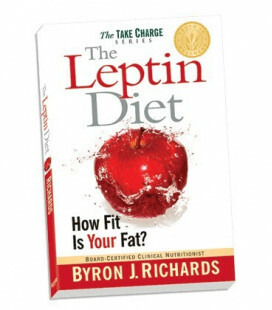 It provides high quality nutrients for healthy leptin hormone communication. * No stimulants or hormones. Mercury-free omega-3 fish oil DHA along with omega-6 oil GLA. Many fish oil supplements contain heavy metals, mercury, and other toxins or chemical residues. Fish oil in natural triglyceride form that will not oxidize in capsule. No soy or rancid oils. Contains standardized pomegranate extract and the very powerful antioxidant form of vitamin E, tocotrienols. The FDA allows the following claim: Supportive but not conclusive research shows that consumption of EPA and DHA omega-3 fatty acids may reduce the risk of coronary heart disease. Sytrinol™ is a trademark of SourceOne Global Partners. 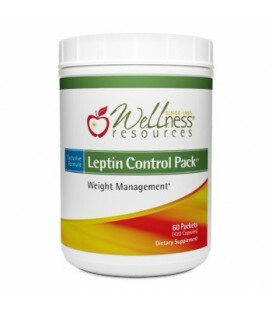 Leptinal® is a registered trademark of Wellness Resources, Inc.
Other Ingredients: Rice oryza oil, beeswax, extra virgin olive oil. Softgel Capsule: gelatin, glycerin, purified water, and carob. This product does NOT contain milk, egg, gluten, corn, peanuts, crustacean shellfish, soybeans, tree nuts, wheat, yeast, or rice. This product does NOT contain hidden fillers, preservatives, artificial sweeteners, colors or flavors, or sugar. Top cardiovascular supplements in on-the-go packets.